Good communication skill is an essential aspect of business. Being able to communicate well to clients and employees can make a big difference on how you are perceived as a company and as a business owner. 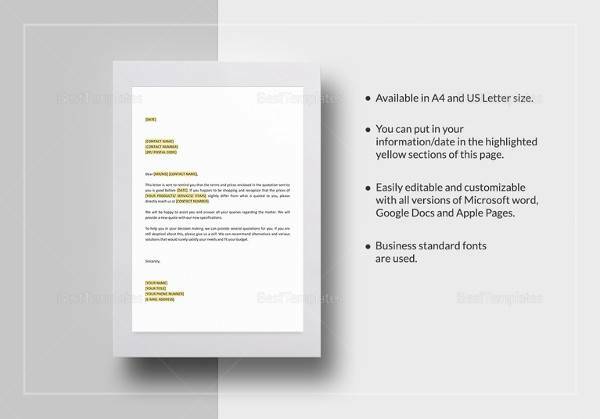 Using the proper format in creating a business letter, whether it be a formal or an informal one, will allow you to broadcast your ideas clearly and accurately. 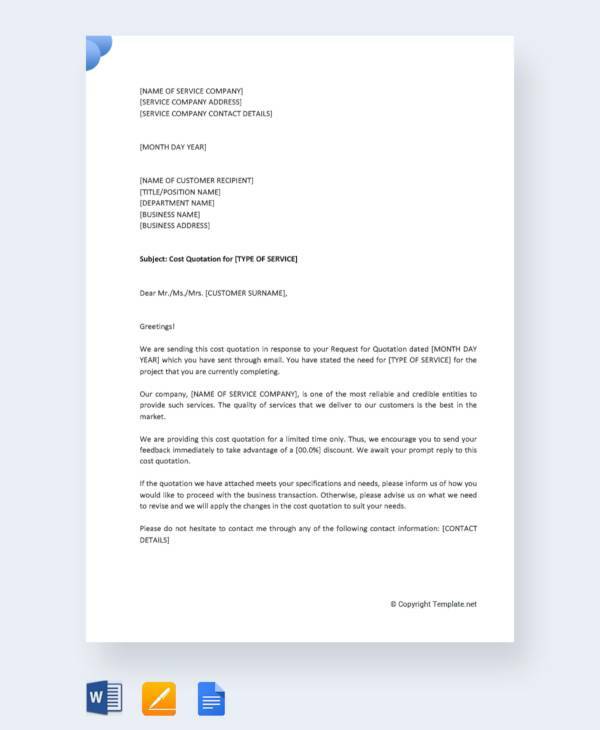 This ensures that the recipient of your letter understands your plans and thoughts. When you are trying to bid for a customer’s purchase of your service or product, a quotation is typically given to give the client a description of the specific goods and services that are provided as well as its corresponding costs. 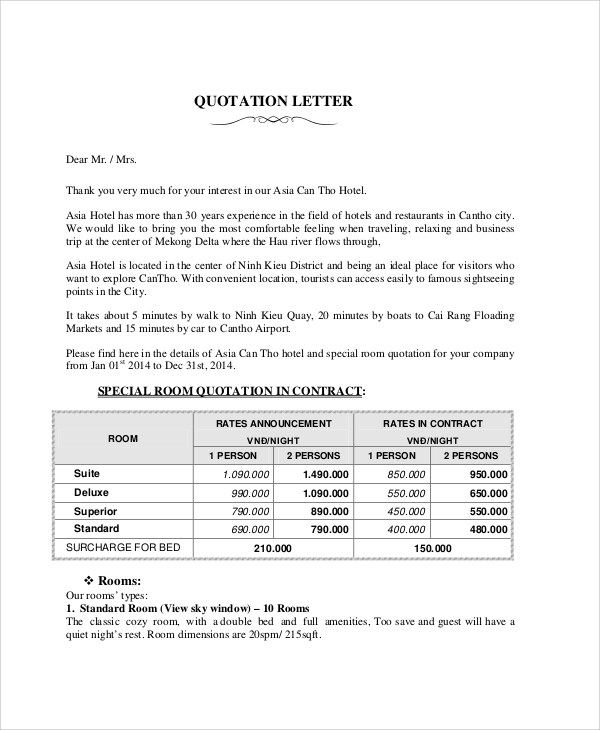 A quotation, in business, can also be referred to as a bid, an estimate, or a tender and proposal. 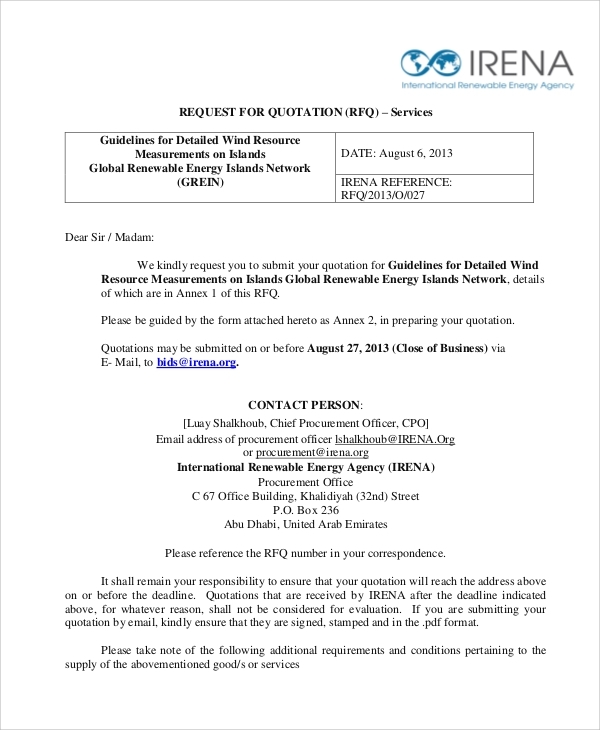 Provide salutations and a formal greeting for your quotation letter. 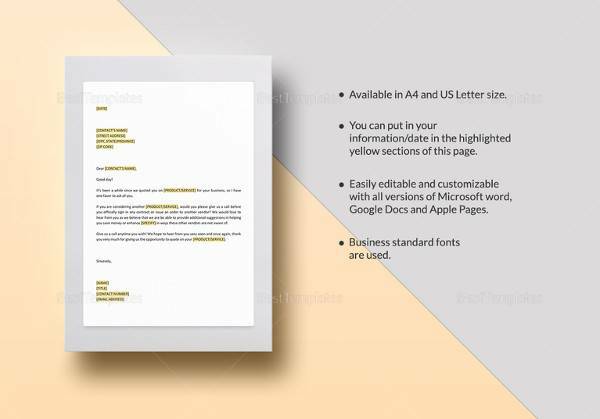 Because you are constructing a formal business letter, you have to use proper titles that include a Mr., Ms., Atty., etc. Be sure to use proper titling as some people are very sensitive to it. For example, do not use Mrs. on a Ms. or a Mr. on a Dr. 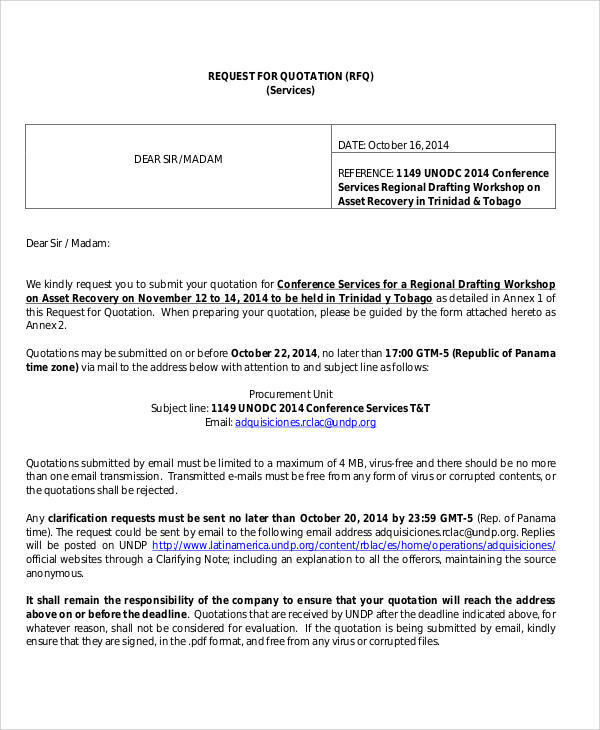 Provide a refresher or a background information to let your client know of the purpose of the letter. 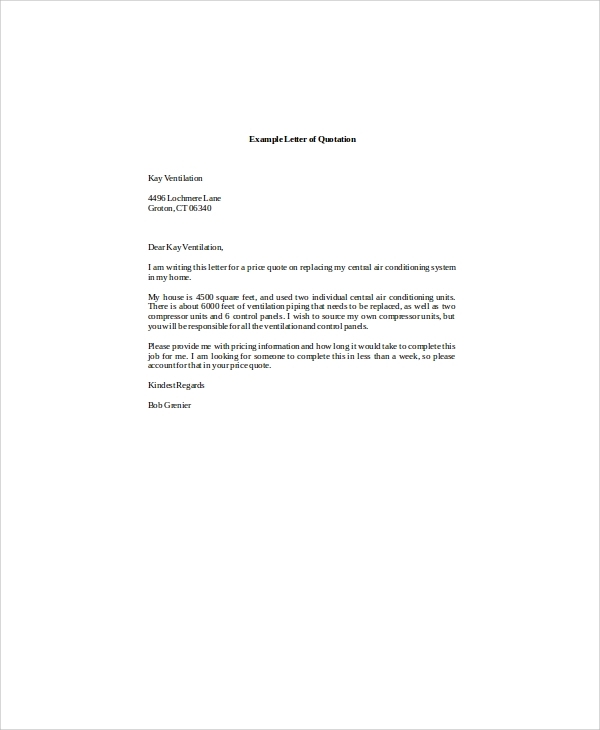 Give a brief summary of the quotation or the proposal in the first paragraph to help your client have a quick idea about it and to help him understand the proposal better. 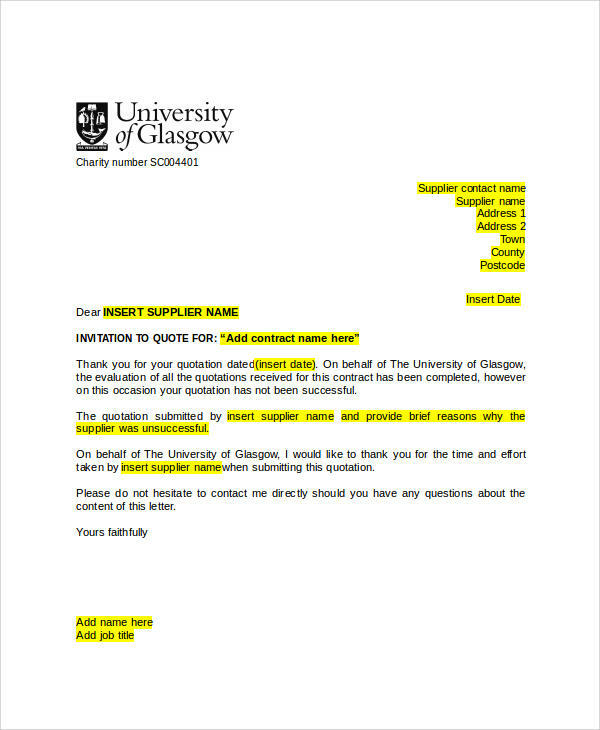 Provide clear details that highlight the goal of your letter. Do not add unnecessary details or an overload of information. Try to focus on the basic terms of the proposal for your client to understand. End your letter by providing words of appreciation. Thank the person for taking the time to consider you and your company and encourage him to contact you if he has any questions. 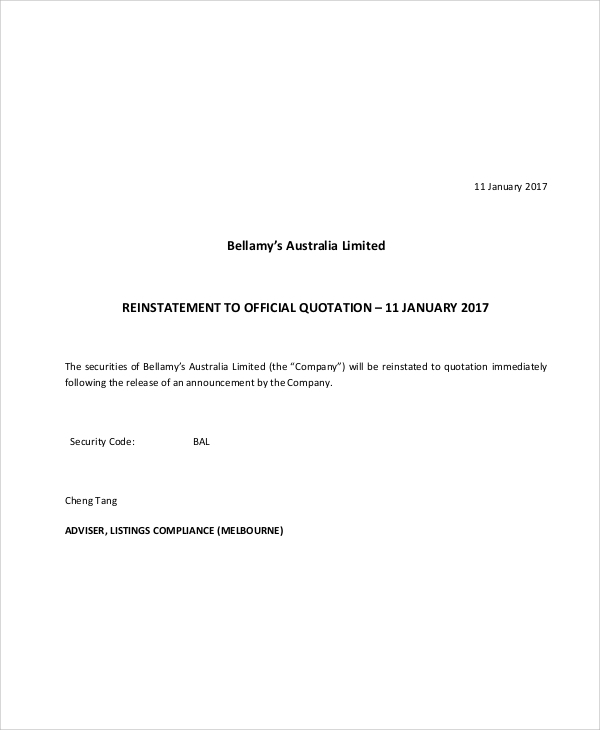 End your letter with a valediction such as “Sincerely” or “Respectfully” with your name appearing beneath the valediction. 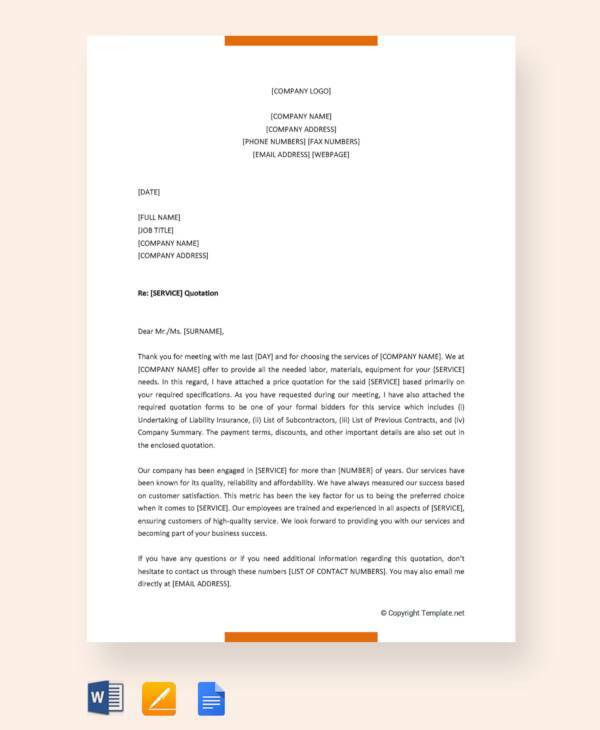 Include any type of supporting documents to your letter by denoting them into your letter on the left side of you signature. 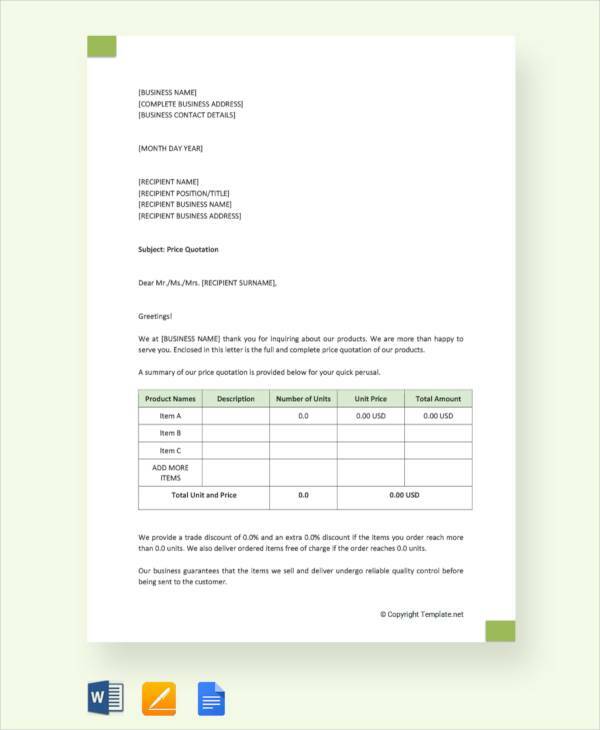 Supporting documents may include proposals or quotation forms that outline the cost and expenses of the materials and the services that the client is needing. 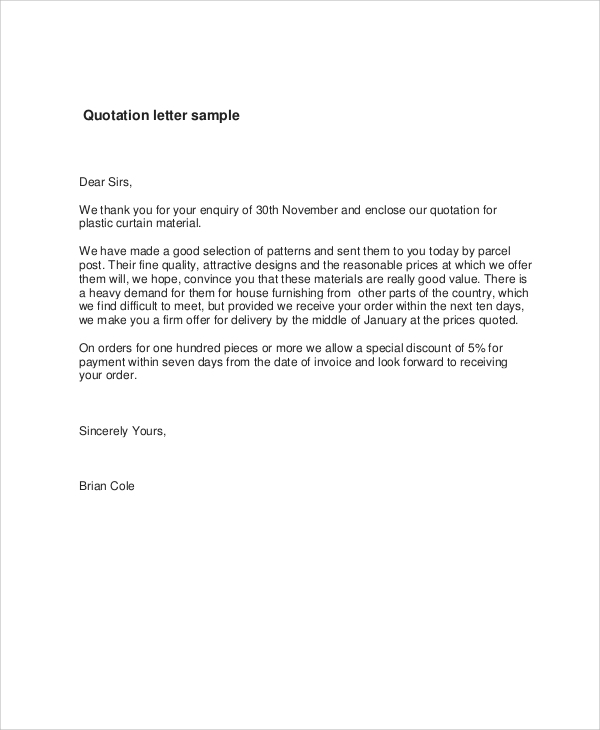 You can also view our Sample Letters, Business Letter Format Samples, or Project Quote Samples to give you an idea on how to properly and effectively create your own quotation letters and business letters.